State Rep. John Zerwas, a budget conferee, said Monday he’s relatively confident that a rider stipulating the Legislature's preferred Medicaid reform terms for any deal with the federal government would stick to the 2014-15 budget. The fate of Medicaid reform in Texas could rest solely on an up-or-down vote on the 2014-15 budget. State Rep. John Zerwas, R-Simonton, a member of the conference committee that is hashing out the differences between the House and Senate budget plans, said Monday he’s relatively confident that a rider stipulating the Legislature's preferred Medicaid reform terms — like cost containment measures and private market reforms — for any deal with the federal government is "sticking" to the 2014-15 budget. The rider does not expand Medicaid, he clarified, and said he would be “happy to defend it” to his colleagues. The 2014-15 budget is not yet finalized. Budget conferees are meeting Monday evening to discuss the health and human services section and could discuss the rider. It could also come up in future discussions on the proposed budget this week. Republican lawmakers have made it clear that they won’t approve an expansion of Medicaid eligibility this session. And although some conservative GOP House members have vowed to reject the budget proposal if such a rider is included, Zerwas said the rider has the support of the majority of budget conferees. The budget does not include financing to expand Medicaid eligibility in the upcoming biennium. “No amount may be expended to modify Medicaid eligibility unless the [Health and Human Services Commission] develops a plan to create more efficient health care coverage options for all existing and newly eligible populations,” states the budget rider, which was authored by Senate Finance Chairman Tommy Williams, R-The Woodlands. The rider also says the Legislative Budget Board, which includes the lieutenant governor and House speaker, must ensure that any deal reached with the federal government to expand Medicaid eligibility cuts uncompensated care costs; promotes the use of private coverage and health savings accounts; establishes wellness incentives, cost-sharing initiatives and pay-for-performance initiatives; and reduces the state’s need to gain federal approval to make “minor changes” to the program. Zerwas authored House Bill 3791, which was killed by legislative deadlines. 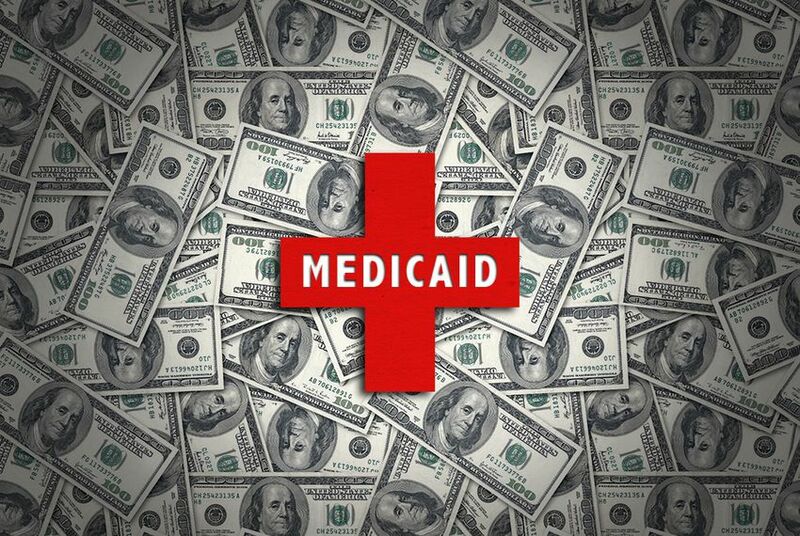 It would have requested a block grant for the state to reform the current Medicaid program and negotiate a deal to draw down billions in federal money to subsidize private coverage for adults below the poverty line. Zerwas expressed disappointment that there was not a full debate in the House on HB 3791, and that the bill "had more meat on it than the rider, but beggars can't be choosers." If Texas spends roughly $15 billion to expand Medicaid over the next 10 years, the state could receive up to $100 billion from the federal government and insure an additional 2 million people, according to a report by Billy Hamilton, a fiscal consultant and former deputy state comptroller. Local governments and hospitals, which currently foot the health bills for uninsured Texans, are pressuring state lawmakers to accept the federal financing to expand Medicaid eligibility to adults below the federal poverty line. And some fiscal conservatives say the state should leverage the opportunity for Medicaid expansion to reform the entire Medicaid program, and ultimately, cut state costs for the program down the line. The Senate has approved the rider, but the House approved a nonbinding motion directing budget conferees not to include the rider on the budget. State Rep. Van Taylor, a Tea Party favorite from Plano, told the Tribune on Tuesday that the conservative faction of the House was prepared to vote down the budget, if it called for an expansion of Medicaid. “John wants it. I want it — so there’s two of us” who want to include the rider in the budget, House Appropriations Chairman Jim Pitts, R-Waxahachie, said on Tuesday.